'Memory' seems to be a very potent ingredient in the tastes and penchants of current theatre-going audiences. As noted in my review of London's highly successful and celebrated Miss Saigon revival last month, there is clearly a demand and yearning for the familiar both in the West End and beyond, as nostalgia and the proven seem to be edging out the original and unknown. By no means is this particularly unusual or new, we live in a creative climate where the industries' Olivier awards have an entire category dedicated to revivals in recognition of their number and popularity, but it does seem to have hit something of a boiling point in recent years. Fortunately, for all of the pedestrian, perfunctory cash-cow productions being rolled out to ride this particular wave of demand, it also is the perfect environment to witness the return of some true musical greats, amongst which Andrew Lloyd-Webber's cherished and prolific Cats undoubtedly deserves to be classed. 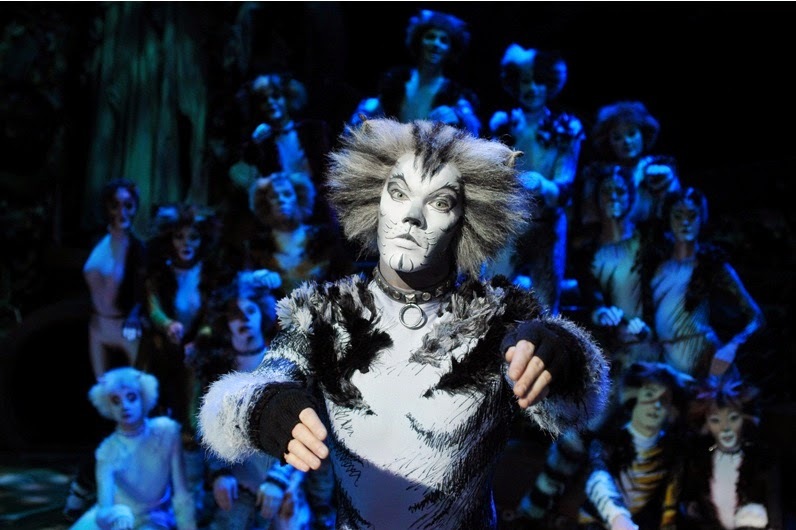 For 21 years, the show graced the West End with its inimitable feline presence, setting a record at the time for longest-running production in the process. It bowed out with its final performance on it’s 21st birthday to a sold-out house and live broadcast in Covent Garden back in May 2002. However, 2013 saw the show return for a triumphant International tour which, after departing the UK for a number of tenures in Europe and beyond, this year sees it return to our shores prior to a limited West End run, delighting Birmingham audiences with it's feline festivities at the Hippodrome for the remainder of the month. 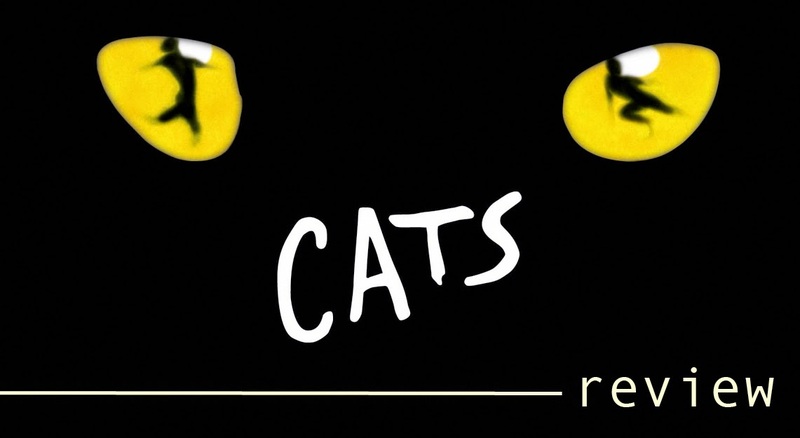 Cats follows the story of a tribe of ‘Jellicle Cats’ as they come together for an annual celebratory ball where one of them will be chosen by their venerable leader for a prestigious honour of ascension before returning to a new life. That’s essentially the full gamut as far as the narrative goes, minus a few minor deviations and side-steps (kidnap! ), with the show mostly consisting of a series of vignettes showcasing an ecclectic mix of feline characters each with their own particular niche or backstory to be presented in song and dance. It’s a relatively unique structure and approach, pick and choosing from T.S. Elliot's Old Possum's Book of Practical Cats, and even to this day remains completely distinctive and decidedly high-concept. For those who are not already familiar with the production then it’s kaleidoscopic, bricolage approach as opposed to a more traditional progressing narrative may alienate some expecting a more conventional musical theatre experience. The upside, however, is that this ensemble, almost Vaudeville approach keeps things fresh and brilliantly paced, with a soundtrack and slew of characters equally as diverse and imaginative as anything Lloyd Webber has produced. From the jazz and blues stylings of ‘Macavity’ through to iconic standard ‘Memory’, this remains one of the composer’s most enduring, varied and charismatic bodies of music. The newly re-shuffled cast (though some familiar faces from last years company remain) assembled for this latest leg of the tour are an exceptionally capable and talented team, easily maintaining the high standards set last year with it's original company. With such a strong onus on the mannerisms and movements of it’s characters and performances, coupled with the shows almost operatic approach occasionally married with mime, the technical skill of its ensemble is pivotal, and it is where the cast absolutely shine in particular. The entire company disappear into their roles, all demonstrating remarkable physicality and control and utterly convincing as the cavalcade of varied feline creatures. Aided by remarkably characterful, almost balletic choreography and donning the trademark costumes and make-up of the original production which remain as evocative and effective as ever, this is a troupe at industry-leading standards of brilliance, and ensures Cats remains a brilliantly kinetic and exciting visual treat. Some notable highlights within the company include Joseph Poulton who is sensationally agile and dextrous as both Quaxo and Mistoffelees, giving one of the shows most impressive dance turns. Dane Quixall is a delightfully dapper and suitably gentlemanly Skimbleshanks, Callum Train commands proceedings with majesty and presence as Munkustrap, whilst Paul F Monaghan is both sympathetic and tender as ageing Asparagus and rambunctious and booming in his Growltiger alter-ego. It's a spirited and tactile performance, with Monaghan selling the beats emotional, bombastic and humorous all with real vim and clout, even if the extended Growltiger sequence proves to be something of an Act II lull. Sophia Ragavelas is a younger, yet no less poignant and affecting Grizabella, her youth in some ways managing to further compound the tragedy of the character; that even one so young could be so downtrodden and given up on in life. As is the nature of the character (and indeed practically every character within the show), Ragavelas does not have a great deal to work with, so it is admirable that she mines such a memorable (excuse the pun) and moving turn from her brief stage time. 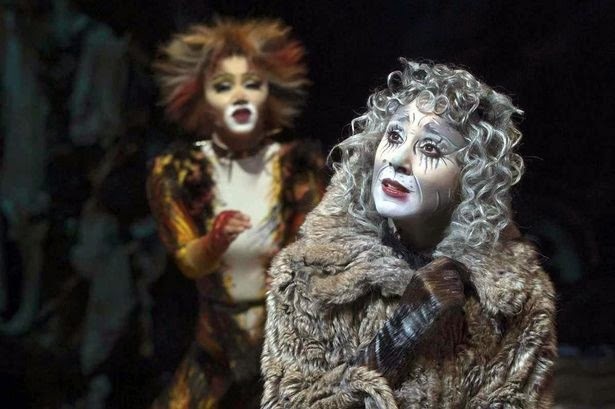 The measure of any good Grizabella is by her rendition of the show's tentpole number, 'Memory', and Ragavelas does not disappoint - with devastating conviction and searing vocals, seemingly tearing the song from her very soul and lifting it straight through the roof. 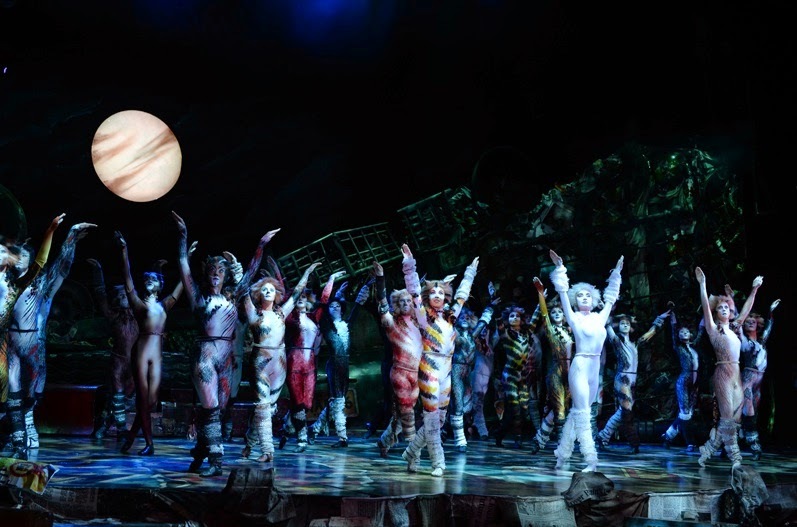 Incredibly faithful and a brilliant celebration of the strengths and uniqueness of the original show, this touring production of Cats will surely delight existing fans whilst converting newcomers in the process. Given it’s almost vaudeville/revue structure and distinctive look and feel, it is perhaps more of an acquired taste than even some of Lloyd Webber’s other output and in places it still does seem to take itself a little too seriously, occasionally sacrificing humour for melodrama or self-importance. Nonetheless, it remains mostly terrific fun throughout, and with catchy, memorable showtunes, terrific visual design and a simply stellar company of performers whose performances both physical and vocal are amongst the most impressive and enthralling I have had the pleasure of watching, Cats is an easy recommendation and the purr-fect figurehead for why revivals and re-imaginings of old favourites are here to stay, and deservedly so. 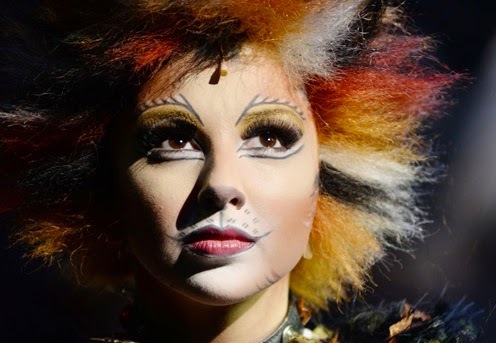 CATS is running at the Birmingham Hippodrome from Tuesday 09 to Saturday 27 September 2014. Press tickets for this performance of Cats were provided courtesy of the Birmingham Hippodrome directly. (A)musings Media gratefully acknowledges their generous invitation.